Commissioned Extraordinary Ministers of Holy Communion help the distribution of the Eucharist to proceed smoothly. 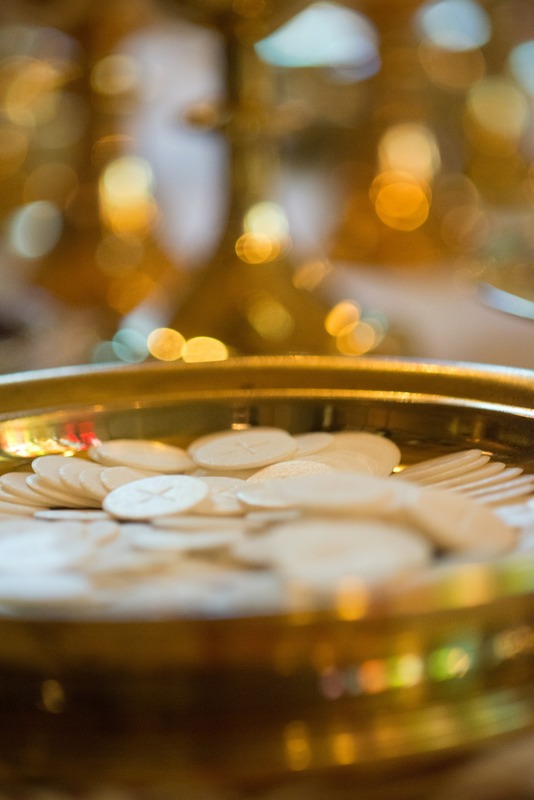 Because of their close association with the Eucharist, Ministers are called to represent Christ. Hospitality – making everyone feel welcome at God’s table (Communion anticipates the heavenly banquet where all are honored guests). Be attentive, relaxed, smile, give eye contact, distribute at an unhurried pace, and have a reverent and cordial tone of voice. 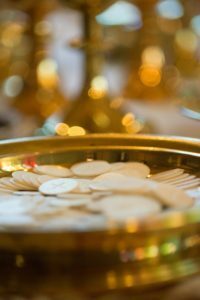 Gratitude – “Eucharist” comes from the Greek word for “thanks.” The Eucharist is about giving thanks and praise to God by remembering God’s actions throughout history. This keeps us grateful and hopeful because what God has done in the past he will continue to do. In the Eucharist we express personal gratitude for what God has done in our lives. We receive the gift of the Lord’s presence with grateful hearts and share that gift and his blessings generously and joyfully with others. Reverence – shown in our approach to the altar, how we handle the Host/Cup, how we dress, our posture and our gestures, etc. Below Ordo is specific to Christ the King. Revised March 9, 2017. Click here for the Revised Ordo.